When consumers decide that they want to buy a timeshare, it is time to look at the advantages of buying resale. Timeshare has frequently been the subject of unfavourable comment. This is seldom directed towards standards or facilities, or indeed the concept, but rather to the somewhat unsavoury methods often employed in persuading people to purchase. How Does Buying Resale Differ from Buying Direct? Quite simply, when you attend a timeshare presentation, you are under intense pressure to hand over your money and purchase on the spot. Buying a Timeshare Resale means that you have no financial obligation right up to exchange of contracts. Business is conducted by telephone and email with no pressure whatsoever on the purchaser. You make up your mind in the privacy of your own home. Resellers act as estate agents for timeshare between existing owners wishing to sell and prospective owners wishing to buy. Travel & Leisure Group will only sell resorts of good standing and recognised structure. Resorts offered are affiliated to RCI, Interval International, and/or Dial An Exchange. Because of this, buyers have the same flexibility of exchanging holidays throughout the world. Buying resale can save you thousands! Resale prices are often less than 50% of developers’ price and purchasers usually get all the same benefits as buying on site. Unbiased advice. Travel & Leisure Group act as an estate agent and are not linked to any one resort or country. We are able to offer a much wider and better choice of timeshare. Because of this, we know how to tailor your options to suit your requirements. Why are Prices So Low on the Timeshare Resale Market? 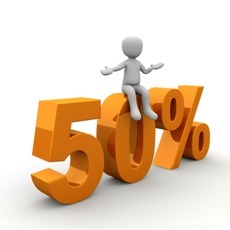 It is no secret that upwards of 50% of the resort developer costs are sales and marketing related. When you purchase directly from the resort, unfortunately you are paying an inflated price to absorb these costs. When buying resale, you only pay for the true fair market value of the property! As a timeshare resale buyer, you not only benefit from the use of the property, but you also enjoy savings of 30-50% or more! The resale market has matured and the resale inventory is nowadays very attractive to buyers. Travel & Leisure Group has possibly the largest resale inventory in Europe. Some major groups such as Marriott have a right of first refusal if they feel the timeshare is being re-sold at an unreasonably low price. They will then refuse to transfer the ownership to the new owner. This does not happen with other resorts where secondhand buyers benefit from the low selling prices on the resale market, where supply and demand is much in the buyer’s favour. You must be sure of the reputation and stability of the reseller. Resellers should be a member of RDO at the very least. If anything goes wrong, the consumer has somewhere to go to with the problem. RDO members have to follow a strict code of conduct, which is closely monitored. RDO keep a close eye on a company’s performance and business practices. As required by law, your chosen reseller MUST offer a cooling-off period. Ensure monies are placed in a trust account administered by FNTC. Ensure the reseller has a bona fide conveyancing department or uses the service of a recognised timeshare conveyancing firm. Buying resale through Travel & Leisure Group means you can be sure that you are in safe hands. You benefit from full protection under the UK Timeshare Act and the European Timeshare Directive. To our knowledge, we are the ONLY company where full contractual monies are deposited into a trust account, administered by FNTC. This means that no funds will be released until deeds have been transferred into the purchaser’s name, ensuring both parties are fully protected. Travel & Leisure Group has its own in-house transfer of ownership department. The staff in our legal department have many years of experience in transferring Portuguese and Spanish Land Registered Deeds (Escrituras) and American Title Deeds. Even club transfers can nowadays be extremely complex and costly. Before you buy a timeshare, check with Travel & Leisure Group. We have many properties of this nature at our fingertips, all affiliated to exchange companies. These give owners the flexibility to exchange their weeks all over the world. We match the discerning holidaymaker with the right resort at the right price: this is the key to our success. Buying resale timeshare through Travel & Leisure Group is a great way of saving money. If the average holiday for a family of four costs £1,000 per year, this can easily mount up over time. Secure your future holidays at today’s prices and save thousands in the long run. A one-off payment plus a small yearly maintenance fee and you have holidays for life. Package holidays taken over a few years will cost you a lot more and all you are left with are the memories. With the arrival of respected hotel groups, the image of timeshare is now very different. Marriott, Hilton, and Hyatt (to name but a few) have now built many timeshare resorts around the world. Travel & Leisure Group is the largest independent resale company in Europe. We have 25 years in the industry with a vast international sales network. We are corporate members of RDO, the official regulatory body of timeshare in the UK. Through exchange companies RCI, II and DialAnExchange, your have thousands of resorts at your fingertips. Discover the tropical islands of Barbados, St. Lucia, or Bali. Experience the magic of Disneyland. Journey to the manor houses of England or the chateaux of France. These are just some of the options for your dream holiday. Buying resale guarantees you holidays for a lifetime. Golf, tennis, skiing, or just lazing on a sandy beach outside your apartment are all part of timeshare ownership.